This was a cute video. I am not﻿ hung up on the negatives in Comments. Why can't we learn just to appreciate the goodness of stuff, without always having a negative attitude!?!? ~Love the People! Love All the Animals! President Obama discusses the issues his cabinet will be working on in the coming weeks and months. November 28, 2012. First Lady Michelle Obama welcomes military families, including Gold Star and Blue Star parents, spouses and children, to the White House for the first viewing of the 2012 holiday decorations. November 28, 2012. If Congress fails to act, every family in America will see their taxes automatically go up at the beginning of next year. A typical middle-class family of four would see its taxes rise by $2,200. November 28, 2012. The First Lady is presented with the White House Christmas Tree, which will be displayed in the Blue Room of the White House. November 23, 2012. President Barack Obama welcomes President-elect Enrique Peña Nieto of Mexico to the White House to mark his election. November 27, 2012. President Obama holds a press conference in the East Room of the White House. November 14, 2012. During a press conference, President Obama explains his mandate to help the middle class get ahead and recover from the recession. November 14, 2012. The day after the election, the President made a surprise visit to campaign HQ in Chicago to give a heartfelt thank-you to staff and volunteers. Here's what he said. (CNN) -- A black man is returning to the White House. Four years ago, it was a first, the breaking of a racial barrier. Tuesday night, it was history redux. And more. In the midst of national splintering and a time of deep ideological animosity, Americans elected President Barack Obama to a second term. And thousands rejoiced in his victory, one that seemed sweeter and, perhaps, more significant. "This is affirmation that his color doesn't matter and that his message resonated with people," said Yale University sociologist Jeffrey Alexander, author of "Obama's Victory and the Democratic Struggle for Power." "It is very important in that it will indicate that an African-American can be viewed for what he says and not what he is." President Obama wins Florida with 49.9 percent of the popular vote, taking the state’s 29 electoral votes. The race was close with only a 47,028 vote difference according to The Washington Post. Florida was the last state to be called due in part to long lines at some polling locations and absentee ballots that needed to be counted in such a close race. According to Huffington Post, Miami-Dade Supervisor of Elections Penelope Townsley said the delay was due to “an extremely high volume of absentee ballots” and because some precincts had voters still casting ballots past midnight. The large group of independent voters swung in Obama’s favor gaining 50 percent of the vote. The percentage of Republicans was equal to that of Democrats, putting the decision largely in the hands of independents. The minority vote gave Obama a boost in the state. According to CNN exit polls, an impressive 95 percent of African Americans chose Obama along with 60 percent of Hispanics. Women, making up 55 percent of the voter population also favored Obama in the state. The Interstate 4 Corridor had been a closely watched area for the election. Historically the candidate who takes the zone, which includes Tampa, takes the state. The I-4 Corridor generally divides the state; Republicans to the north and Democrats to the south. According to News Press, within the cluster of counties are more than 3.6 million voters and nearly a million of them are registered as independents. Political contributors on CNN’s election coverage discussed the possible negative effect of Romney’s “self-deportation” comment made earlier in January on Florida voters. While Romney revoked his former stance, the statement resonated with the large Hispanic population. According to Naples News, in the past six years, the number of registered Hispanic Democrats in Osceola County only has grown by about 10,000 and Republicans have registered only 100. Paul Ryan’s Medicare plan was another issue contributing to the loss of the campaign in the retiree-heavy state. Although Ohio gave Obama the election, Florida was a nail bitter for both campaigns. Obama outspent Romney in Florida by $22 million but according to data compiled from The Washington Post by Dan Lipka, President Obama visited the state a total of 26 time while Romney made 38 stops. Florida made it to the top ten list of most visited states for both candidates. Both campaigns were smart to put their resources into Florida. Although it was an extremely close race, President Obama was re-elected without needing the state. THIS is what a real mandate looks like. It's called WINNING! 30 Rockefeller Plaza is all lit up in blue as Pres. Obama is projected to take the necessary 270+ electoral votes that put him back in the White House for another four years. "We are greater than the sum of our individual ambitions and we remain more than a collection of red states and blue states... We'll remind the world just why it is that we live in the greatest nation on earth." "We know in our hearts that the best of the United States of America is yet to come." Moving forward. Magic Johnson Supports President Obama: "Look How Far We've Come." Magic Johnson shares why he supports President Obama and what you can do to help re-elect him for a second term. President Obama is on a two-day, non-stop "America Forward!" tour with grassroots events in Iowa, Colorado and Nevada. On Thursday President Obama will continue the tour with grassroots events in Florida, Virginia and Ohio. The "America Forward!" tour will crisscross the nation, reaching as many voters as possible about the critical choice in this election -- moving America forward toward an economy built to last with a strong middle class versus going back to the same policies that crashed our economy in the first place. Vice President Joe Biden and Dr. Jill Biden share how President Obama has demonstrated his strong and steady leadership as Commander in Chief and how he continues to honor the commitment to our troops and veterans. President Obama shares why faith is important and how faith-based groups have helped guide him into a life of public service. President Obama shares why faith is important to him and how his faith has guided him in his life as a husband, as a father and as President. Former President Bill Clinton explains how no President could have fully repaired all the economic damage done President Obama found in just four years. "No president—no president, not me, not any of my predecessors—no one could have fully repaired all the damage that he found in just four years." Trey Songz was in Richmond, Virginia to encourage supporters to get involved and help re-elect President Obama. He also promoted GottaVote.com, the site with all the information you need to register to vote and to vote in your state. It's very important that women have a voice in this election. Every vote counts. Every voice counts. Jane Lynch, Eva Longoria, Beyoncé Knowles, Julianne Moore, Julianna Margulies, Olivia Wilde, Gloria Steinem, Jennifer Lopez, Ashley Judd, Sheryl Crow, Cecile Richards, Padma Lakshmi, and Kerry Washington share how President Obama has fought for women's rights; how he'll continue to move this country forward; and how women will help decide this election. As Gloria Steinem shares: "If we understand our power, we can move forward." Cristina Saralegui comparte sus razones por apoyar al Presidente Obama y habla de lo fácil que es llamar a tus amigos y vecinos y así apoyar al re-elección del Presidente Obama. Aisha Tyler, Dr. Maya Angelou and Lynn Whitfield share why every vote counts and what you can do top help re-elect President Obama on November 6th. Victor Cruz: "I Support President Barack Obama." Alonzo Mourning, Dahntay Jones, Harrison Barnes, Etan Thomas, Kym Hampton, Vince Carter, Juwan Howard and more share why they support President Obama. Jay-Z shares why it is important to exercise your right to vote and how President Obama represents the power of our voice. "For so long, there was this voice that was silenced out there as far as exercising your right to vote. I think it was a voice that was silent because people had lost hope. They didn't believe that their voice mattered or counted." "Now people are exercising their right, and you are starting to see the power of our vote. He made it mean something for the first time for a lot of people. " Billie Jean King shares her life experiences and why she supports President Obama. "Every generation stands on the shoulders of the generations before—just like I do. And I'm very thankful to all those people that suffered so that I could have a better life. When I was going through all my suffering I use to always imagine what I'd like the world to look like and we are certainly much closer to it than ever—and I know that President Obama is very responsible for this happening because he stood up for us." Ricky Martin shares why he's standing with President Obama and what you can do to make sure he's re-elected for a second term. "As a parent, I'm especially thankful that the President is working to end bullying because no one should be afraid to walk down the street holding hands with the person they love." Jane Lynch, Jesse Tyler Ferguson, Billie Jean King, George Takei, Wanda Sykes, Zachary Quinto, and Chaz Bono share why they're supporting President Obama and why Mitt Romney isn't the choice for them. Wanda Sykes: Every Vote Counts - "Go to GottaVote.com and Be Counted." Wanda Sykes shares the importance in voting, why President Obama is the clear choice in this election and what you can do to help make sure he's re-elected in November. "If we don't show up and vote for President Obama everything that we fought for will just be for nothing. We have a President who supports us, we have to show up and support him." Kevin Hart shares why he supports President Obama and what you can do to help re-elect him for a second term. Matthew is proud to have the opportunity to honor the American flag every single day. As COO of Humphry's Flag Company in Old City Philadelphia he's in charge of producing the symbol that represents the values of our country—and he believes President Obama is the best choice to represent and carry on those values. "We need to be sure to honor the tradition we're inheriting and to pursue the excellence of the flag. 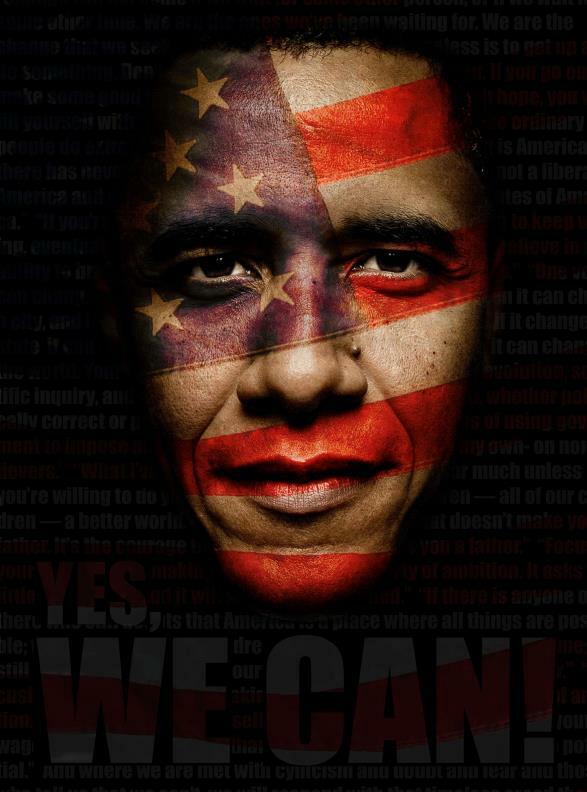 In the hands of President Barack Obama, the values of the United States flag become visible and clear." President Obama went on a two-day, non-stop "America Forward!" tour with grassroots events in Iowa, Colorado, Nevada, Florida, Virginia and Ohio. The President talked about the critical choice in this election -- moving America forward toward an economy built to last with a strong middle class versus going back to the same policies that crashed our economy in the first place. Obama for America's new television ad highlights last week's powerful endorsement from retired four star general and former Secretary of State Colin Powell. In his support of President Obama, which represents a powerful show of bipartisanship, Powell cited the President's leadership in bringing us back from the brink of economic collapse, ending the war in Iraq, putting in place a plan to end the war in Afghanistan, and his strong record of fighting terrorism as reasons for his endorsement. Like Secretary Powell, the American people know that President Obama is a strong, steady and decisive leader with an affirmative vision to move our country forward. Alicia Keys was in North Carolina where she fired up the crowd at North Carolina A&T State University and shared why it's important to get involved and vote. Eddie Million certainly didn’t anticipate a visit from the Secret Service, when he hung an effigy of President Obama with a noose around its neck and hanging from a tree as a “Halloween decoration,” reports the New York Daily News. The Moreno Valley, California resident insists that the hanging Obama was just a prank, something that was done in anticipation of an upcoming festive celebration at his home. Million now realizes that what he once thought was a brilliant idea, to hang a figure that sports an Obama mask he purchased at a clearance sale last year, was actually a dangerous dud of a notion. After neighbors began to complain about seeing the hanging Obama effigy amongst zombies and headstones in Million’s yard, the story was leaked to local media. On Monday, police investigators paid Million a visit to delve further into his little presidential-inspired prank. “I started thinking how bad it looked, and I took it down immediately,” he told the Daily News. But it was too late, news of Million’s Halloween scare tactics made its way across the desks of Secret Service agents. A brand new grassroots song and music video in support of President Obama's re-election produced by the Executive Producer behind the iconic "Yes We Can" music video of 2008 with will.i.am. President Obama jokes about his childhood with Donald Trump on Jay Leno. It turns out that Donald Trump’s big October surprise was to make Mitt Romney look like a moron by offering President Obama $5 million if he will release his college transcripts and passport application. Remember that whole Moderate Mitt image that the Romney campaign is trying to sell? Donald Trump just trashed that. The Obama campaign is dead on. Mitt Romney now owns every dumb statement and publicity stunt that comes out of Donald Trump’s mouth. Romney cut a deal with Trump during the Republican primaries, and has been paying for it ever since. Donald Trump wouldn’t be politically relevant at all if Mitt Romney wouldn’t have elevated him by making such a public show of accepting his endorsement. Trump is listed and referred to by the media as a Romney surrogate. He has a direct connection to the campaign. Both Mitt and Ann Romney has spoken highly of him. Can you imagine what would happen if an Obama surrogate called on Mitt Romney to prove that he isn’t a polygamist? The conservative bluster would echo for days. Mitt Romney is already losing this election. Instead of talking about their candidate, the Romney campaign now has to stand aside and see one of their precious few remaining campaigning days left go up in smoke, as one of their surrogates sabotages their efforts. Donald Trump’s October surprise has blown up in Mitt Romney’s face. If we are the company that we keep, than judging by his close association with Donald Trump, Mitt Romney is not fit to be president. The Romney campaign is trying hard to sell America a kinder, gentler, more moderate Mitt, but Donald Trump’s appearance serves to remind the country of who Mitt Romney really is. n this short documentary we meet Louis Ortiz, an unemployed man from the Bronx whose life is turned upside down when he discovers his uncanny resemblance to President Obama. The third presidential debate on foreign policy between Mitt Romney and Barack Obama in the run up to the general election in November. President Obama made fun of himself and his opponent at the Alfred E. Smith Memorial Foundation dinner in New York. New York Times Op-Ed columnists Charles Blow and Ross Douthat react to the second presidential debate. Mitt Romney described how he brought women into his administration as governor of Massachusetts in answering a question about pay equity for women. President Obama brought up Mitt Romney's comment about not caring for 47 percent of the American people during the debate. Mitt Romney tried to change the subject when presented with a question on how his policies were different from George W. Bush. President Obama answered a question about gun control and brought up Mitt Romney's change on an assault weapons ban. In a back and forth exchange, President Obama gave a quick reply on the size of pensions in answering a question from Mitt Romney. President Obama challenged Mitt Romney's approach toward tax cuts. President Obama in Fairfax, Virginia: "Romnesia"
President Obama breaks down Mitt Romney's case of "Romnesia." During the first presidential debate, Mitt Romney and Barack Obama found common ground on a basic idea: shutting Jim Lehrer up. President Obama and Governor Romney share some friendly banter over the phone as their running mates debate on TV. Mitt Romney recently said he wants to cut funding for PBS, which is odd, considering he hosts his own children's show on the network. The Vice Presidential debate between Joe Biden and Paul Ryan in the run up to the general election in November. This article is brought to you by the letter P ... as in Sesame Street is PISSED that Barack Obama used Big Bird in an anti-Romney attack ad without permission! In case you haven't seen it ... Team Obama released the ad following the debate, in which they mock Mitt Romney's vow to cut off government funding to PBS. The ad portrays Big Bird as an enemy of America who towered over criminals like Bernie Madoff and Ken Lay. But Big Bird isn't laughing ... and neither is Ernie, Bert, Oscar or Elmo (and that dude laughs at EVERYTHING) ... claiming Team Obama never asked for permission before using the Sesame Street character. In fact, Sesame Workshop released a statement saying, "We have approved no campaign ads, and as is our general practice, have requested that the ad be taken down." SW also explains, "Sesame Workshop is a nonpartisan, nonprofit organization and we do not endorse candidates or participate in political campaigns." Obama's camp says they have heard Sesame Street's complaints and will be reviewing SS's concerns. Who has a better relationship with Bo, the First Family's dog? President Barack Obama or First Lady Michelle Obama? A video of Mitt Romney casually pulling something out of his pocket and placing it on his podium at the presidential debate on Wednesday is raising a few eyebrows. Skeptics think Romney pulled out a cheat sheet before the start of the debate, which may have been against the rules. In past debates, it was prohibited to use notes, charts or other writings, however the Commission on Presidential Debates has not released the 2012 debate rules. Romney's spokeswoman Andrea Saul denies this charge and claims that the item in Romney's hand was a handkerchief. This is the exclusive online trailer premiere of the Romney-Ryan campaign's GOP convention reinvention of Mitt Romney and Paul Ryan: "The Do-Over." Romney advisers believe he's viewed as "stiff, aloof and distant" and that the GOP Convention will be "a chance for a fresh start". Their plan includes Mad Men "slick packaging" and a "theatrical," hollywood-style reinvention. Opening this week in Tampa, Florida—Mitt Romney's convention reinvention: "Do-Over". The greatest cause of the destruction of the fabric of the black community in the past forty years is the ability to buy drug legislation that targets and imprisons under-served communities. The consequences of these draconian laws is that it takes diseased people, locks them up for long periods of time, educates them in violent criminal behavior and dumps them back into the community. The money for this operation is obviously funded by the same "good old boys" who run Wall Street. So, when Joe Biden made his comment yesterday that made the Republicans jump out of their seats, I wondered why they were so upset when we, black people, were not. If Republicans want to jump and scream about how to help black people, then end the war on drugs, because we know that it really is a war against our own people. That will certainly start to free "the chains." We know that the effects of these and other biased policies supported by the Republican Party dis-empower blacks and all other minorities in various different ways. Without healthcare, quality education, protection of women and gay rights and a just tax code (that raises my taxes! ), under-served communities will be hit the hardest if Mitt Romney and Paul Ryan are elected. We must do everything in our power to make sure that doesn't happen. Speaker Boehner says when confronted with evil we cannot comprehend, Americans pull together. 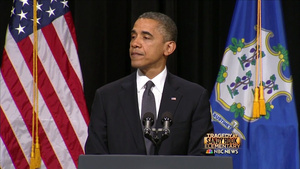 President Barack Obama addresses the recent shooting in Aurora, Colorado. President Obama speaks to the press after visiting with survivors and families of victims of the movie theater shooting in Aurora, Colorado. July 23, 2012. President Obama says that last night's tragedy in Colorado reminds us of all the ways that we are united as one American family, and commits the Federal government to doing whatever is necessary to bring whoever is responsible to justice and ensure the safety of all of our people. July 20, 2012. President Obama honors the victims of the tragedy in Colorado, those who knew and loved them, and those who are struggling to recover. At a a town hall in New Orleans, a child asks President Obama "Why do people hate you?" Transcript: Okay, here's -- this young man, right here. I'm going to let him use my special mic. Hey, this is a big guy -- don't go "awww." Come on, man, I mean, this is a -- all right, what's your name? THE PRESIDENT: Terrence Scott. What do you have to say? THE PRESIDENT: That's what I'm talking about. (Laughter and applause.) Come on. That's what I'm talking about. Terrence, I appreciate that. What grade are you in? THE PRESIDENT: You're in fourth grade? Well, now, first of all, I did get elected President, so not everybody hates me, now. I don't want you to -- (laughter.) I got a whole lot of votes. I want to make sure everybody understands. But you know, what is true is if you were watching TV lately, it seems like everybody is just getting mad all the time. And, you know, I think that you've got to take it with a grain of salt. Some of it is just what's called politics, where once one party wins then the other party kind of gets -- feels like it needs to poke you a little bit to keep you on your toes. And so you shouldn't take it too seriously. And then sometimes -- as I said before, people just -- I think they're worried about their own lives. A lot of people are losing their jobs right now. A lot of people are losing their health care or they've lost their homes to foreclosure. And they're feeling frustrated. And when you're President of the United States, you know, you've got to deal with all of that. That's exactly right. And, you know, you get some of the credit when things go good; and when things are going tough, then you're going to get some of the blame and that's part of the job. WASHINGTON — President Barack Obama will mark his 51st birthday next month with "a little celebration" at his Chicago home. First lady Michelle Obama says in a fundraising email to supporters that the campaign is planning a fundraiser at their house in Chicago's Kenwood neighborhood – and grass-roots donors can win a chance to get on the guest list. Supporters who give $3 or more to Obama's re-election campaign automatically will be entered into the contest to join Obama at the fundraiser. Mrs. Obama says her husband's birthday will be "one of the last opportunities he'll get for a little downtime before the final weeks of the election." 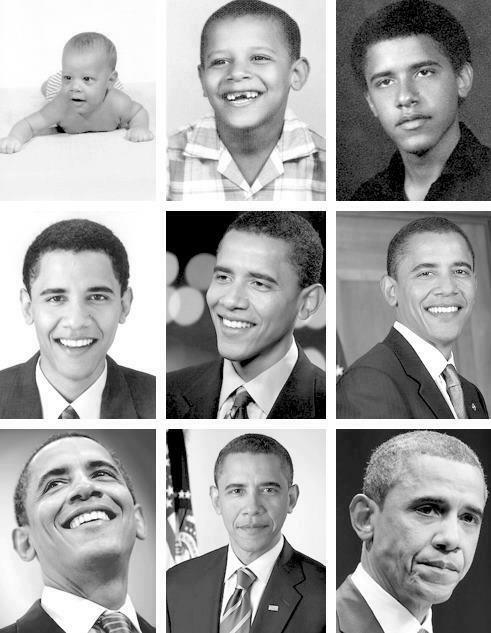 Obama's birthday is August 4. As a full time student at New York University, I am unable to contribute financially to the campaign. However, as an artist, inspired by our Presidents vision, I created a song to help support his mission. President Obama extends the heartfelt congratulations of the American people to Her Majesty in honor of her Diamond Jubilee, which marks the 60th anniversary of her reign as the British monarch. Michelle Obama touches the Queen! oh noes! Michelle Obama vs. The Queen of England = Protocol or Big Love? Michelle Obama touches the Queen of England today in what some are describing as the biggest event at Buckingham Palace since Harry and William graduated. Obama gave this toast to Queen Elizabeth II and guests at a state banquet at Buckingham Palace Tuesday. After the president took a long pause, the orchestra starting playing presumably too soon, causing an awkward moment at the elegant dinner. One of the tricks of monarchic protocol is to make it obscure enough to catch guests and make them feel lesser beings. That's the idea of monachy! Make everybody else feel lesser beings! This is also about cross-cultures. Two persons were expecting diffrent things from the same event (check http://www.amazon.com/dp/B0052MGKBY). The BBC and many networks including US ones at first did not make any mention of the gaffe in their main news programmes. Some did menion it but did not show the president's face after the snub. President Obama greets Archie Hackney, 90, of Newton, IA (Mr. Hackney's first greeting of a sitting president). As a wheelchair-bound veteran he insists on standing to meet his Commander-In-Chief. The sacrifices that our troops have made have been incredible. It's because of what they've done that we've been able to go after Al Qaeda and kill Bin Laden. When they come home we have a sacred trust to make sure that we are doing everything we can to heal all of their wounds. Giving them the opportunities that they deserve to find a job and get the education that they need. It's not enough just to make a speech about how we value veterans. It's not enough just to remember them on Memorial Day. Glee star Jane Lynch narrates this documentary about LGBT rights in America. The video features a candid interview with President Obama, who speaks about the repeal of Don't Ask Don't Tell, why he supports marriage equality, and what's at stake for the LGBT community in this election. Sarah Jessica Parker is hosting a gathering for the President and First Lady at her home in New York. President Obama, President Clinton, and you for an evening in New York. Freedom Isn't Free, created for the promotion of awareness for our warriors and the sacrifices they and their families endure for the freedom and security of our nation.